Su Su’s servant girl persuades her to confess to Yue Fei. No, BADS. 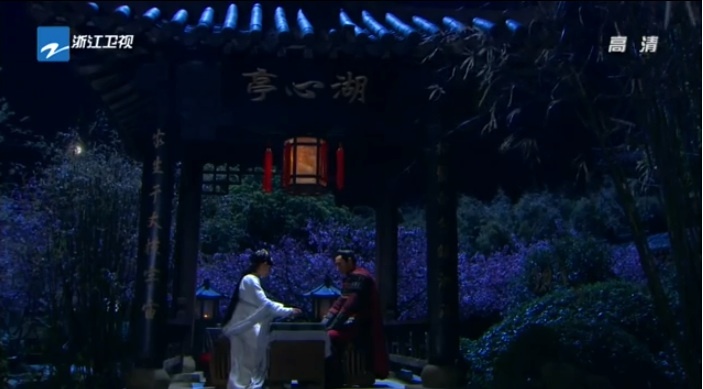 Yue Fei meets Su Su at a little pagoda in the garden. Su Su tries to confess to him. Yue Fei flat out rejects him. Okay, as much as I hated on her, I do feel kind of bad for her. I don’t blame her for liking him…he’s a pretty awesome hero. In those times, polygamy allowed men to have several wives. So I can understand her. 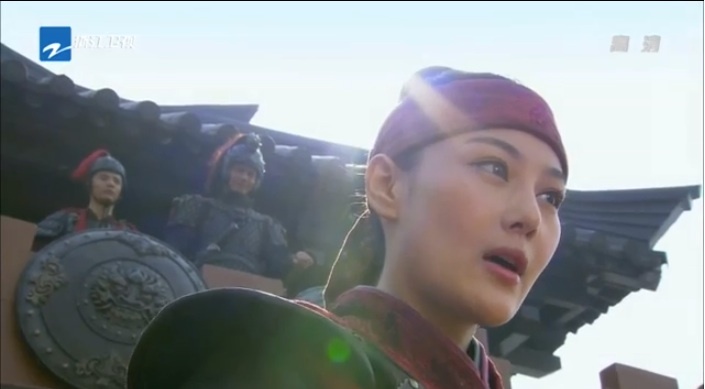 But I can’t help cheering for Yue Fei when he rejects her offer to wait for him (and peacetime). What a consistent character. The next day, Su Su’s servant girl finds her bedroom empty and her mistress gone. Gao Chong officially joins Team Yue Fei. They fight a battle with Jin. Oh crap, one of Gao Chong’s men dies. I think he walked into a trap, as General Du orders a bunch of those iron machines rolled at him. Gao Chong gets struck, but not before he flings numerous sharp objects. Yue Fei finally arrives. Gao Chong dies in Yue Fei’s arms. Liu Shi Shi’s character (does she have a name?) cries as she sees him being carried back to camp. She leaves and flashes back to happier times. Aw, for a cameo, these two characters were really cute. Yue Fei orders a night attack on the Jin camp after they find a spy in the Yue camp. 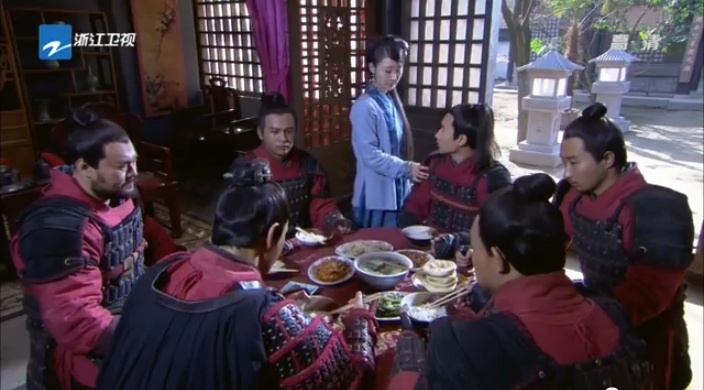 When Bro Squad gathers for a family dinner, and Yue Fei reprimands them when they talk about the spoils of corrupt Song officials. Yue Fei gets angry when he sees An Niang wearing a silk outfit, and he orders her to change. An Niang runs crying to her mom, and Xiao E bursts out that Yue Fei doesn’t think of his children, but only what peasants think of his army. Xiao Hui softly tells Yue Fei that today is An Niang’s birthday, and Xiao E had let her wear the clothing, because it’s been awhile since An Niang had been so happy (Yeah, remember how she went through all that trouble to find you and your army?!). I love the little pat Xiao Hui gives Yang Zai Xin when she leaves, and he picks up where she left off, telling Yue Fei that he should go apologize. Yue Fei tries to get on Xiao E’s good side, but she ignores him until he pretends that he’s hurt. Xiao E tells Yue Fei that An Niang didn’t want anything for her birthday, she just wanted to play with her dad for a day. SO CUTE. 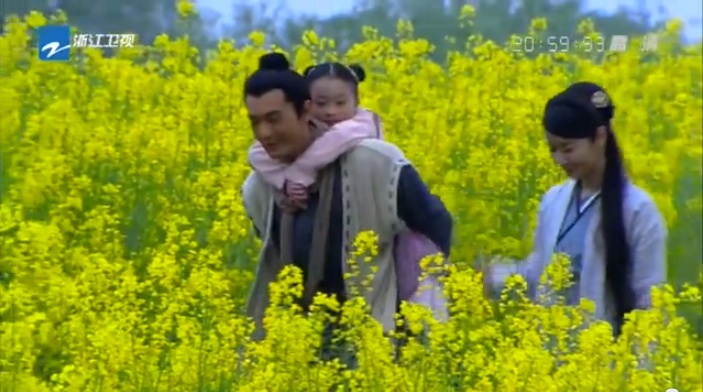 Yue Family goes on a little walk. Emperor is seasick, poor baby. Man, I was so happy when we didn’t have any Zhao Gou or Qin Hui scenes for the past 4 episodes. Fast forward. AHH HAN SHI ZHONG. Every time he comes onscreen I think hearts are beaming out of my eyes. Aw, Wang Gui is all upset when Yue Fei shows a lot of mercy for a Jin General. He orders that the Jin soldier be released. 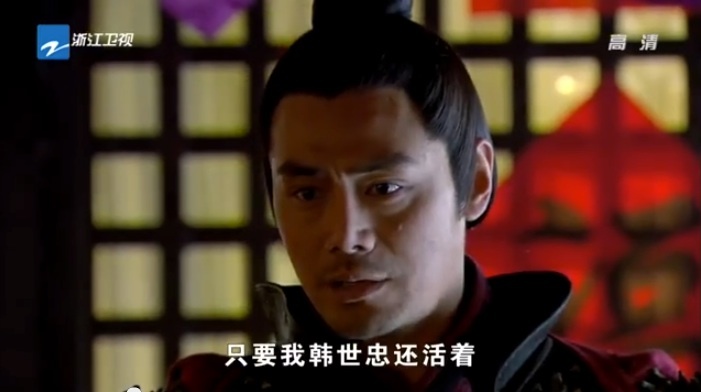 Wang Gui complains that Yue Fei was so quick to order Wang Gui’s beheading. Anyways, Liang Hong Yu leads a group of women at drums, and they teach the naval fleet a series of signals. Meanwhile, on the Jin ships, Ling Er tells Wu Zhu that she’s three months pregnant. The sea battle starts. Once the fighting stops, Han Shi Zhong and Liang Hong Yu are all cute in their cabin. She watches her husband snore over his maps. They wipe the soot off of each other’s faces. Aw, see this is one of the perks of having a wife who goes on the battlefield with you. They discuss battle tactics with mantou. This entry was posted in Chinese Dramas, Culture, Drama Recaps/Reviews and tagged 精忠岳飞, Episode 39, Episode 40, Huang Xiao Ming, Jing Zhong Yue Fei, Patriot Yue Fei, Recap. Bookmark the permalink.